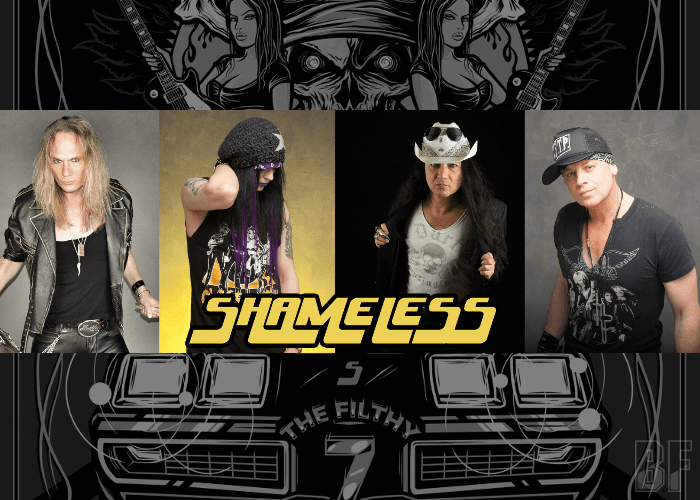 Munich (Germany) based Hard Rock/Glam Metal band SHAMELESS releases their 7th studio album “The Filthy 7” through RSR Music on April 6th. Originally, the band was formed in April 1989 by bassist Alexx "Skunk" Michael. Since their 1999 debut, SHAMELESS has been establishing themselves as not-give-a-damn attitude about the ending of the 80s, and has been notable for having numerous American rockers appearing on their albums. Since then they have been notable for having numerous American rockers appearing on their albums. The band had some massive touring all over the UK and the rest of Europe in 2013 until may 2014. Still now they continue to turn out good-natured, party rock and roll, regardless of shifting musical trends and styles. The band was featured and played their songs in our radio show ROCK OR DIE Monthly in November 2013. For fans of the 80s rock.